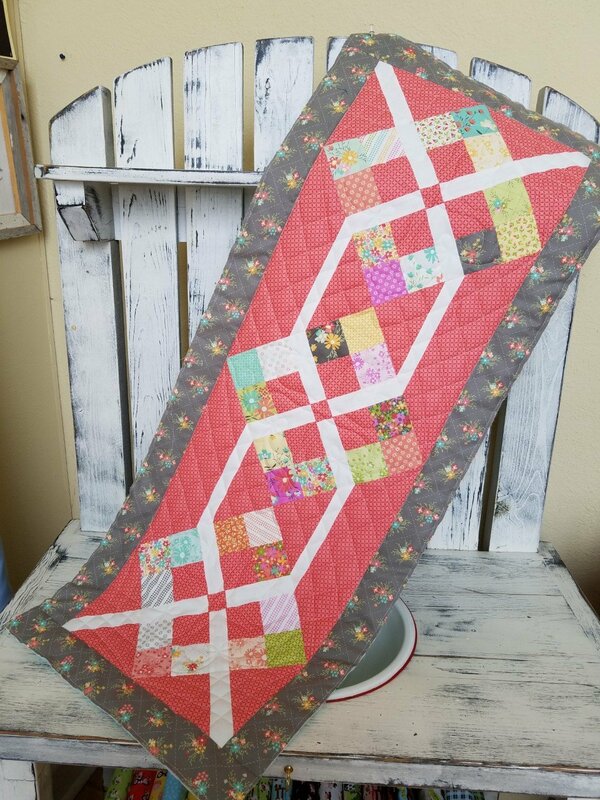 The Trendy Table 2 book is used to make this Pathways runner, using the Sunnyside up Fabric line by Corey Yoder for Moda. Kit includes fabric to complete the runner top, backing and binding. TRENDY TABLE 2 BOOK NOT INCLUDED. Pathways runner page 4.